The contemporary usage of “Doctor,” of course, primarily refers to physicians. Ph.D.’s sometimes use this title, but most prefer Professor. (In Japan, the term “sensei” applies across the board to most professionals: dentists, physicians, and teachers from kindergarten to university–as well as to Zen masters like Mr. Miyagi). So to be a Doctor of Philosophy is to be a Teacher of the Love of Wisdom. Philosophy is therefore more a love, a system of values, than a body of knowledge. It is enlivened by wonder and entranced by mystery. It is, as Jacob Needleman says, a longing for awakening. This love, according to Plato, should animate the Academy and invigorate every discipline throughout the arts and sciences. I wonder how many university professors are wise–or even seem to care about wisdom? How many professors, how many people, recognize their own lack of self-knowledge and general ignorance of “what is truly good and beautiful?” Robert Pirsig laments the university professor who unwittingly kills the creative spirit of his students, which is something none of us wants to do. It is so easy, however, given the pressures of modern education, to be caught in the vortex of a downward spiral. Our youthful ideals can atrophy as we approach the shoals of burn-out. Clearly, the facts, the information and the skills necessary for one’s subject are important, even lovely, things. They have served to spark the interest and quicken the heart of every engaged teacher. But if they are not shared within the context of love, they are like sounding brass and tinkling cymbals, as St. Paul says. One cannot teach love with words. The love of wisdom can only be taught by loving it–and living that love in and out of the classroom. The teacher must BE what she teaches. She can only teach peace with a peaceful heart; he can only teach love with care and vulnerability. What ultimately stays with our students, I believe, is the respect with which we listen to them, the attention with which we regard them, and our abiding faith in the power of our subject to enlarge the soul and thus to expand one’s world. This entry was posted in Teaching and tagged Love of Wisdom, Needleman e.e.cummings, Ph.D., Plato, teaching on October 2, 2014 by jhanagan2014. I totally agree with stance of humility. I’m traveling at the moment and do not have access to my files, but I recall that Christian de Quincey (PhD) in his book Radical Knowing gives a brilliant description of his own transformation from harsh analyst to humble thoughtfulness, a description that was very important to me in my own dissertation defence. “Lover of wisdom” is how I see philosophy, and so it saddens me to see philosophy reduced to an intellectual exercise more in company of knowledge than wisdom. 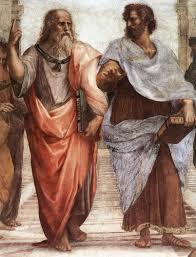 It is because of the reduction of wisdom to academic exercises in logic and semantics that I have rejected most of the modern-day philosophers and look to the ancient philosophers such as Heraclitus as good teachers of philosophy. We are certainly on the same page, Alex. I, too, revere Heraclitus. I wonder if there is an affinity between him and Lao Tzu? The logos in Heraclitus seems to have many attributes in common with the Tao. At any rate, the evolution of “Logos” from the mystical fire of Heraclitus to the logic of Aristotle to “In the beginning was the Logos” of St. John is more than fascinating. I have also noted the similarity of the logos of Heraclitus and the Tao of Lao Tzu. I have plans to study Lao Tzu in conjunction with the philosophy of Heraclitus.